Sure, we care which athlete took home a particular award. Still, the great concern is what swag the nominees took home. Take your peek here. What's In The Bag: A gift certificate for Lake Arrowhead Retreats. Arrowhead Retreats, unique vacation rental homes in beautiful Lake Arrowhead. At almost a mile high, it is often referred to as the "Jewel of Southern California." What's In The Bag: A gift certificate for a BACtrack Mobile Smartphone Breathalyzer. Transform your smartphone into a police-grade breathalyzer! Track and save your BAC results, and with ZeroLine®, estimate when your BAC will return to 0.00%. What's In The Bag: A one-year membership with unlimited access to Beachbody On Demand. Beachbody's mission is to help you live a healthy, fulfilling life by developing fitness and nutrition solutions that have helped thousands of people reach their goals. What's In The Bag: A gift card for shopping on www.brunton.com. Brunton has used technology to enhance the outdoor experience for more than 125 years, offering indestructible products that allow you to enjoy the outdoors longer. What's In The Bag: A two month unlimited yoga pass for Corepower Yoga. CorePower Yoga strives to show the world incredible, life-changing experiences that occur when an intensely physical workout is rooted in the mindfulness of yoga. What's In The Bag: A six-month membership for Crunch gym and six-month membership for Crunch Live. Crunch is a health club chain with a philosophy of "No Judgments" and continues to lead the fitness industry in fusing fitness and entertainment. What's In The Bag: Two nights in a luxurious ocean view casita, daily breakfast for two and dinner at Cocina del Mar. Esperanza, an Auberge Resort, encompasses a 57-room resort, 60 privately owned villas, 36 private residences, a full-service spa and signature dining outlets. What's In The Bag: A dining card for Flemings's Steak House. Fleming's Prime Steakhouse & Wine Bar pairs a passion for service and seasonal ingredients with the finest USDA Prime beef. What's In The Bag: A gift certificate for Handy services. Handy is the easy way to book and manage home cleaning and home improvement services. Handy's reliable, convenient, and ready to take on your to do list. What's In The Bag: Gift certificate for a two-night stay. Harrah's Resort Southern California boasts 1,065 rooms and suites alongside numerous dining and lounge options; a casino, Dive Day Club and more. What's In The Bag: A NERF MEGA CYCLONE SHOCK and a gift certificate for more toys and games. 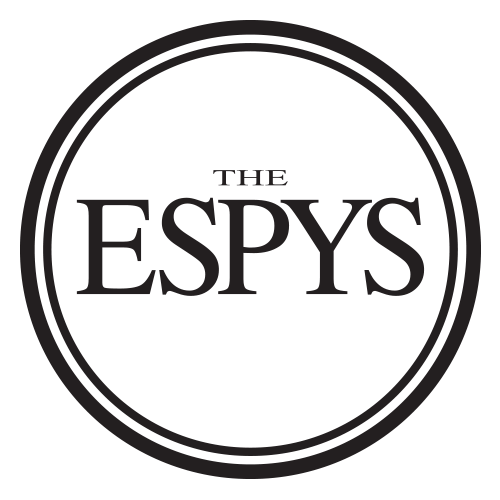 Hasbro will be participating in the 2015 ESPY Awards with samples of the NERF MEGA CYCLONE SHOCK, along with 150 printed vouchers for redemption. What's In The Bag: A two night stay in the Hotel Palomar in San Diego. Stay in sophisticated style at Hotel Palomar San Diego. In the center of downtown, our boutique Kimpton Hotel is a top choice for work & play. What's In The Bag: A one-month membership for JetSmarter services. Redefining First Class. With the world's largest private jet marketplace and unprecedented membership services, JetSmarter is changing the way people fly. What's In The Bag: A luxury, leather passport cover. LUCRIN Geneva is a leading Swiss manufacturer dealing in exclusive Luxury Leather Goods, including Office & Travel Accessories, Home Décor artefacts, Hi-Tech pouches, amongst others. What's In The Bag: A golfing package for four. Round of golf for four at the award-winning George C. Thomas golf course at the luxurious Ojai Valley Inn & Spa. What's In The Bag: A two-night Essential Retreat Stay for two in a Luxury Villa, including three meals each day, daily guided hiking and fitness classes. Nestled in Southwestern Utah, Red Mountain Resort is an active destination retreat that offers outdoor and hiking adventures, fitness classes, gourmet cuisine, spa services and more. What's In The Bag: A gift certificate for a NASCAR driving experience. Richard Petty Driving Experience delivers a thrill of a lifetime as you put your hands on the wheel and foot on the gas of a 600-hp NASCAR race car. What's In The Bag: A Tectonic Backpack. Samsonite is the worldwide leader in superior travel bags, luggage and accessories combining notable style with the latest design technology and the utmost attention to quality and durability. What's In The Bag: Three free trips from airport locations, luxury service, Audi A4. Car rental the way it should be. No lines. No paperwork. No hassles. Always a silver Audi A4. Reserve through the Silvercar app now. What's In The Bag: Gift certificate for full day speed flying or paragliding lesson for one. Speedfly Soboba is the ultimate speed flying and paragliding destination. What's In The Bag: A gift certificate for Tiger Tail products. Tiger Tail's Really Awesome Massage Tools are trusted by million-dollar muscles to help them with pain relief, trigger points, muscle recovery and agility. What's In The Bag: A large poured Trapp candle and a gift certificate. At Trapp & Evoque, it's all about the fragrance. That's why we guarantee every product will fill a room with fragrance within minutes. What's In The Bag: A gift card for Wag! services. Hire fully trained, background checked and insured dog walkers. For every mile a dog walks, 10 cents is donated to the Best Friends Foundation.